Joe grew up in Shillington, Pa and attended First EC Church of Reading. He is a 1978 graduate of Governor Mifflin High School. In 1982, he received a Bachelor of Science Degree in Economics from Millersville University. In the spring of 1982 as a senior in college, Joe committed his life to Jesus Christ. Upon graduation, Joe began his career as an accountant in Trenton, NJ. During this time, he attended Newtown Community Church in Newtown, PA. While attending this church, Joe felt the call to full time ministry. 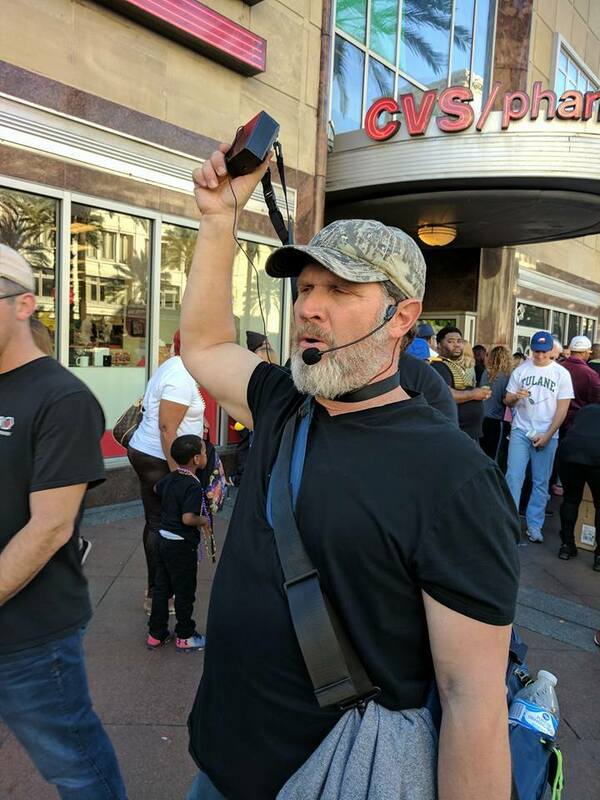 He left his job to attend Moody Bible Institute for a 3-week seminar on Urban Evangelism with plans to attend Evangelical Seminary in the fall of 1984. When Joe returned from Moody, he began a street ministry in the city of Reading called Inner City Campaigners. From this street ministry, an outreach to children and teens began at First EC of Reading called The Source. This ministry continued from 1984 to 1988 when Joe moved to Philadelphia, PA. Joe began his theological studies at Evangelical in 1984 and ended in 1987. During this time, Joe became a commissioned missionary and a licensed preacher in the Evangelical Congregational Church in May of 1985. In 1985, Joe and Wendy met at Evangelical Seminary while working on his Maters of Divinity studies. They were married at the chapel at Evangelical on March 22, 1986. Joe and Wendy have five sons. Jared(1987), Seth(1989), Ethan(1989), Aaron(1991) and Adam(1984). The boys were primarily home schooled from 1991 to 2013. Both Jared and Seth serve in The U.S. Coast Guard. Ethan is a career firefighter/paramedic in Currituck County, North Carolina. Aaron is employed at Wellesley Assisted care Facility as a food services manager. Adam serves in the U.S. Air Force. Joe and Wendy have been blessed with six grandchildren named: Forest, Joseph Conner, Morgan, Savannah and Jackson. In 1988, Joe and Wendy moved to Philadelphia to begin an association With Open Air Campaigners. During this time, they worked in an internship status with this mission board. The ministry of Open Air Campaigners is to do the work of Evangelism and to train others in Evangelism in an urban setting. This association lasted until 1992 when Joe resigned because of doctrinal issues that conflicted with the EC Church. Upon resolution of the proposed doctrinal changes within OAC, Joe served as an associate evangelist with them until 2000. Joe now serves on the board of directors of OAC, Inc. At this point Joe became one of the few Evangelical Congregational Church Denominational missionaries, which is a status that continued until 2008. In 1993, Joe established a ministry called Open Air Ministries-Philadelphia. Now Joe has formed his own 501c non-profit corporation called Open Air Ministries, Inc from 2009 until the present day. Joe’s ministry is primarily evangelistic by nature. 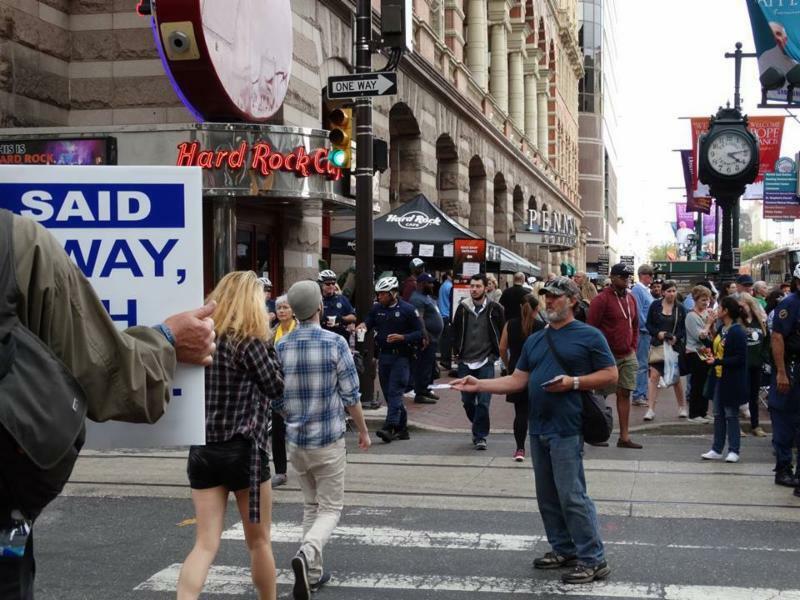 Outreach is conducted at bus stops, subways, college campuses, center city, parades, events, neighborhoods, parks and other areas in and around the Metro Philadelphia Area. 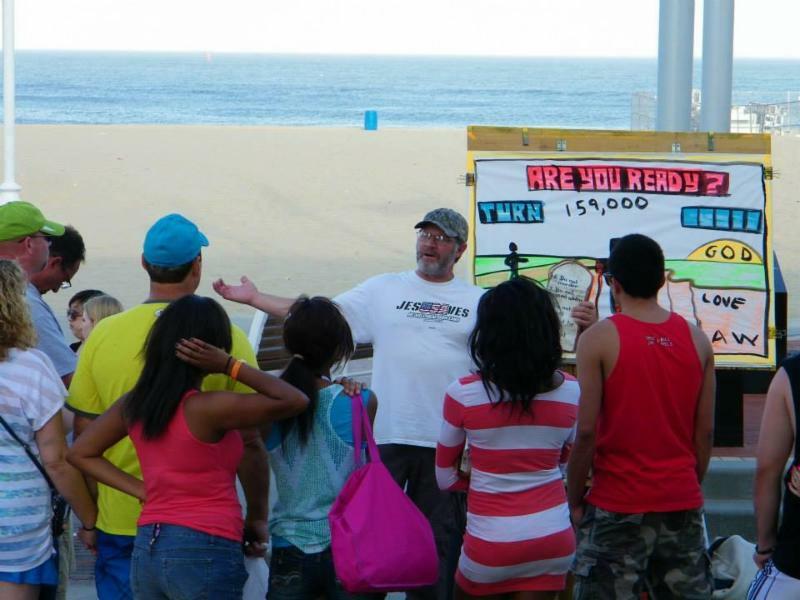 Joe does weekly outreach in Camden, NJ and in the summer conducts outreach at the New Jersey, Maryland and Delaware beach resorts. 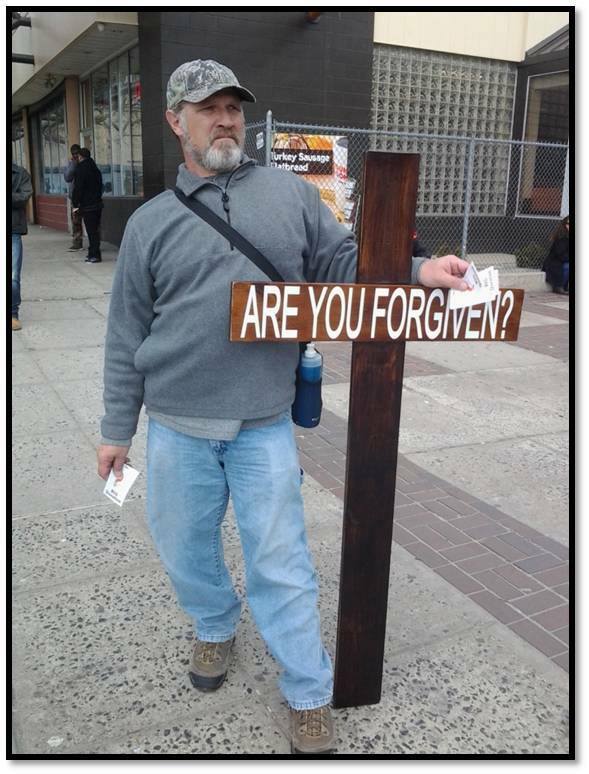 Through the years, Joe has been involved in the Philadelphia Port Ministry from 1988 to 2001. Also, much outreach has been done in inner city neighborhoods with children. Joe was a co-pastor for Metro Kids an outdoor kid’s church in various locations in Philadelphia from 2007 to 2011. Many times a year Joe travels to national events such as Mardi Gras, Indy 500, Spring Break Florida, Senior Week in Ocean City, MD and others to share the gospel. Another large part of Joe’s work is training others in evangelism. Joe spends a number of weeks each year training youth groups, college students, missionary candidates and others in evangelism. Some of these groups spend time with in Philly for a day or a week. The summer is especially busy with hosting these teams, including a number of EC Church youth groups. Joe and Wendy and Aaron live in Folcroft, which is in Delaware County, PA. Folcroft is located very close to the Philadelphia Airport. They attend Crossroads Community Church, which is in Upper Darby. Joe Tracting and Sign Holding. Are you related to the late…. (I will presume)….Evangelist .Dr Toy who led Revival meetings here in Cranbrook BC….in the early 1900 s ? He was here for about 3 weeks….I am a christian and love to do research as to the moves of God….locally..
Thankyou for a reply….either way..